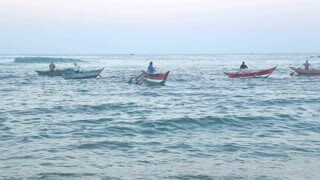 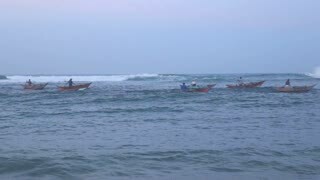 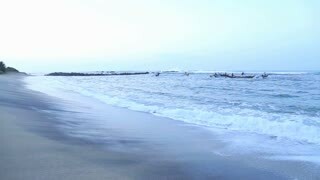 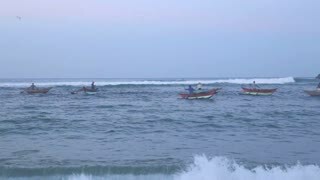 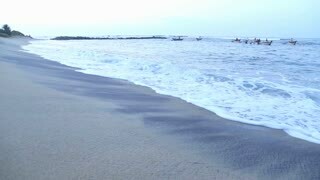 View of waves and fishermen in Mirissa. 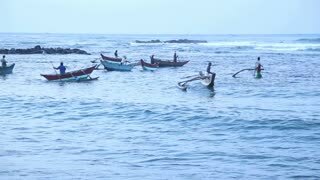 These traditional fishermen find it harder to make a living from poor fishing catches. 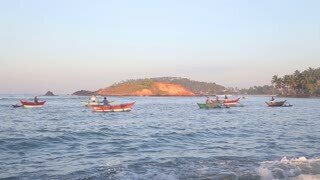 MIRISSA, SRI LANKA - MARCH 2014: Portrait of fisherman eating on beach in Mirissa. 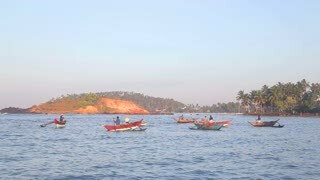 These traditional fishermen find it harder to make a living from poor fishing catches.